La Pentolaccia lives up to rave reviews! Went to La Pentolaccia on the recommendation of a seasoned Rome resident on my first night back in the eternal city in 6 years. 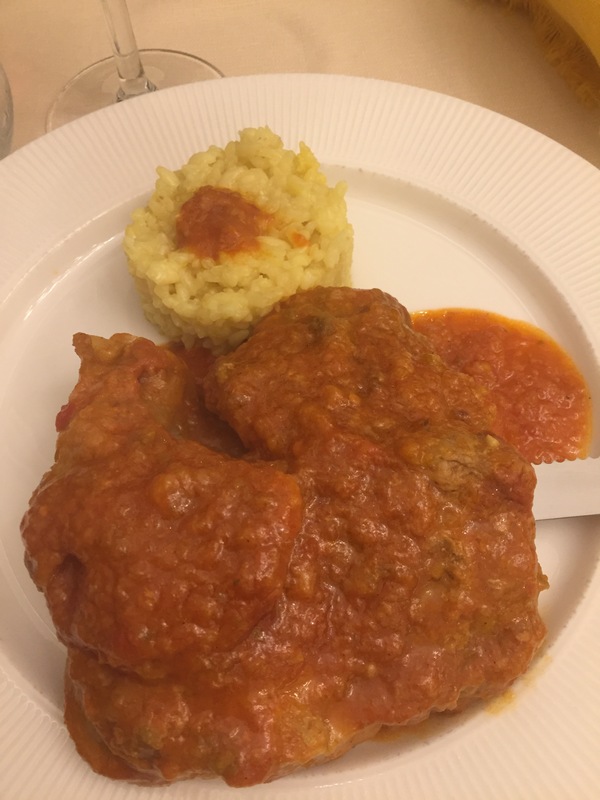 Having not stayed on this side of Rome (near Termini) before the recommendation was welcome as were the rave reviews on Yelp and Trip advisor. Down a cute little street, Via Flavia, just off Via Settembre in Sallustiano, La Pentolaccia is a great local restaurant that you always want to find as a tourist in Rome. Great service from friendly, professional and slightly bossy waiters; fabulous menu boasting dishes made with fresh, seasonal produce and a wonderful Roman vibe. We had delicious grilled octopus and prawn rocket salad with an eyewateringly good freshly made horseradish dip on the side, followed by Osso bucco with delicious marrow and lobster fettuccine. 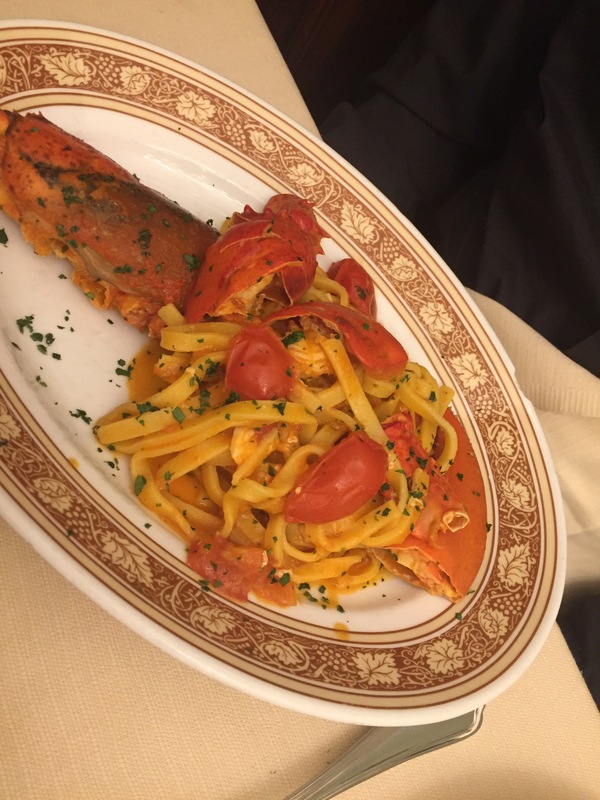 The lobster fettuccine actually had large pieces of lobster claw in it and was presented in a fish formation! 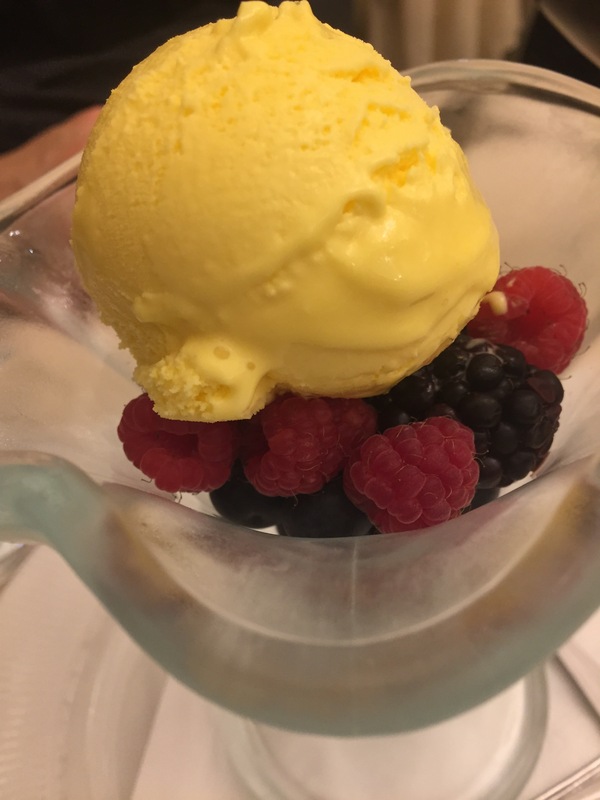 Followed with fresh berries and ice cream. Solid wine list which the helpful owner?/waiter Vincenzo helped us with. All in all a great first night out, all for less than €90 for the 2 of us. Definitely a great place to eat if you are on this side of Roma! Puts my spaghetti to shame! !